Technousa – a World-class Mobile Application Development Company. We Build Powerful, High Performance Mobile Apps – Give your Business a Digital Edge. – Our Mobile App Developers are experts who build Scalable, Robust and Interactive Mobile Applications. Leverage our experience - 9 Years in Business. 500+ projects delivered. 100+ clients spread across 31 countries. Technousa is one the leading offshore mobile application development companies with office in India, USA and UK. We serve clients across the world including USA, UK & Rest of Europe. 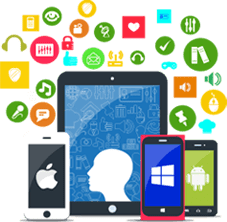 Our custom mobile app development service is cost-effective as you get the cost benefit of outsourcing and it is 100% assured that there won't be any compromise on quality. 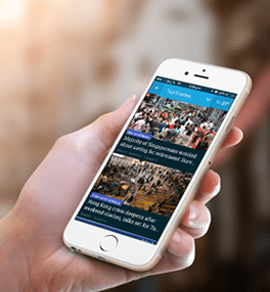 Our expert mobile app development team, consisting of highly skilled programmers, has 9+ years of experience and has delivered several mobile application development projects successfully. Our team's experience and expertise combined with our agile way of working ensures quality of work, consistent delivery and the motivation to meet and exceed client expectations – thus we can say this with utmost confidence that our team is at par with the best in the industry. So, enough said. Let's get started – get in touch with us to discuss your requirements. We have a tradition of working with our clients as partners and we make sure that their expectations are met and the right solutions are provided. We'll not only work with you to understand your requirements and work on them but will also give our insightful inputs to make sure that a world-class app product is delivered – which will be scalable, robust, secure, interactive and sustainable. We adopt development best practices that allow scaling up the app as new requirements arise. Fantastic Programmers and Project Managers. Simply loved their knowledge and communication skills. Recommended to all. Fantastic Java, PHP , Mongodb, EmberJS, Jetty, AngularJS Programmers and Project Managers. Simply loved their knowledge in all skills we have used and communication skills. Recommended to all. Amazing Creativity. Love the colour sense of the web designer. We will definitely hire him again for next set of designs. Also PSD to HTML 5 Coding was pixel perfect and as per the standards. We recommend the team & Technousa to everyone as we have hired several resources from them .